O.k. bear with me while I learn how to edit movies. This is a total hack job but everyone is e-mailing asking what we did with the (new) house over the weekend. We did some unglamorous things like pull out stinky cat carpet and clean the place. 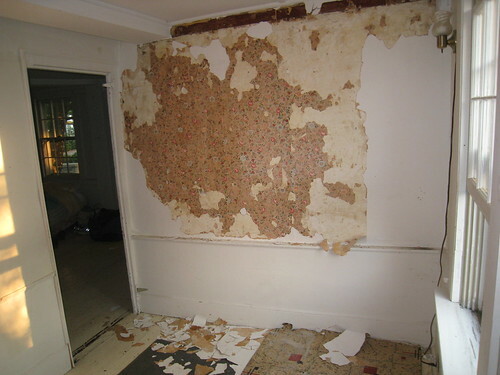 We got bored and started chipping away at a wall in a small room on the second floor. 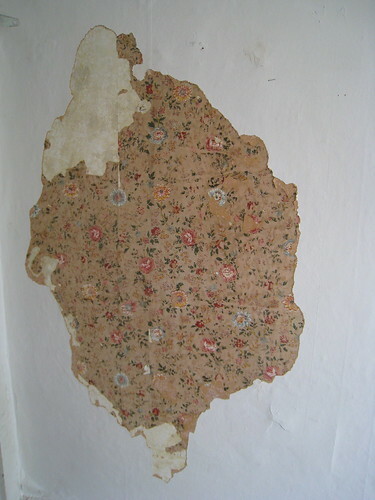 We found this beautiful floral wallpaper under layers of plaster and another layer of wallpaper. Were not sure if the paper is original. The house dates to 1750. 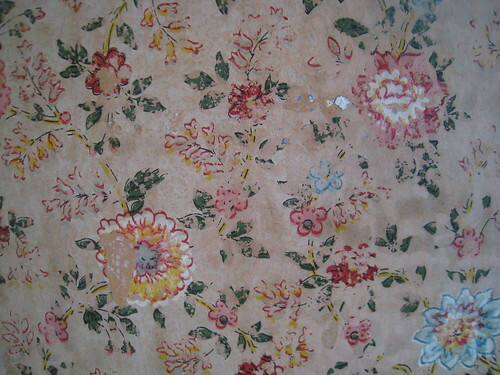 The paper has a whimsical Liberty of London style. I have to do some research. I will share more fun things we found over the weekend once I get some rest. Night! 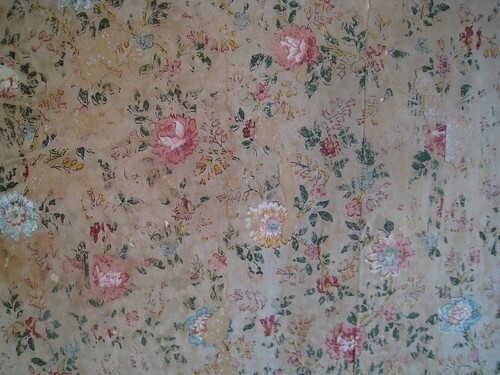 The wallpaper is GORGEOUS. Are you going to keep it somehow? Just found your blog and have been combing back through, loving it. We too just bought our first home, a youngin' at 100 yrs old. Looking forward to following your progress.